The Blue Ridge Marathon is for Runners … And You! Grab your cow bells and get ready to cheer on runners in the seventh running of the Foot Levelers Blue Ridge Marathon on Saturday. 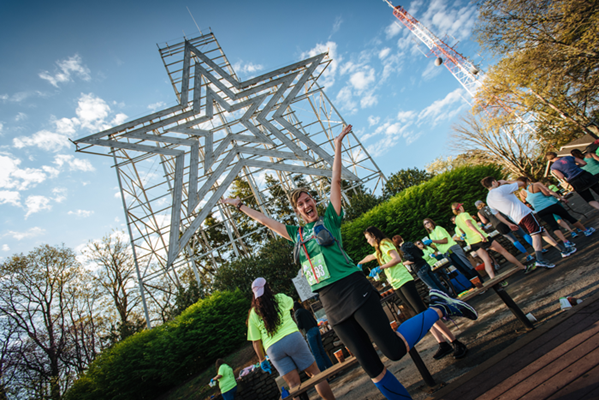 Even if you aren’t participating in one of the four races – marathon, half marathon, Anthem Star 10K, or Carilion Children’s Family One-Miler – you can be a vital part of the experience. 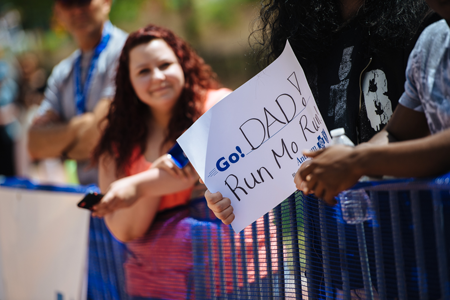 From volunteers to friendly faces along the route, it takes the support of the community to make runners from all over the country feel at home and give them that final push to cross the finish line. Watch the races live on WDBJ7 from 7 a.m. to 11 a.m. When: April 16, races start at 7:30 a.m. Finish festival: Expect to find food trucks, craft beer, artists and vendors and plenty of live music. 8 a.m. to 3 p.m. Welcome Kirk Dudley to Get2KnowNoke this week. With his crazy sense of humor and love for all things Roanoke, the final week of 2015 is sure to be a good one. 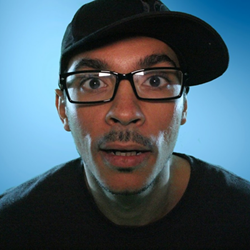 Kirk is a native Roanoker and works as a software developer and is a music artist. You can listen at iLL-it Records. He’ll help you find great things to eat around town, might help you find the perfect New Year’s Eve party location, and promises to avoid Game of Thrones spoilers and cat videos. In addition, he’s a beer and sock enthusiast that prides himself on his bobble head collection – maybe he will share a photo or two – and his favorite color is orange. Here are a couple more facts about Kirk. If you are on Twitter, give @speekeazy a follow and make sure to join the conversation with him this week on @Get2KnowNoke. Do you have what it takes to tweet for us? Apply today. 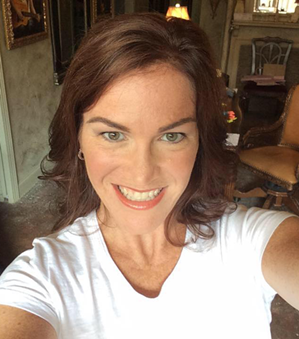 Welcome Liz Lively to Get2KnowNoke for the next week. Liz is originally from North Carolina but says she calls Roanoke home, and she has a bubbly personality that’s totally infectious. Liz says she just loves all that the region has to offer seven days a week for her family, including a 5-year-old son, Cliff. Her personal account is @whoababyliz, and you can follow her personal tweets there. Liz is active in the community and works as director of development and marketing for the Science Museum of Western Virginia. Here are a couple more facts about Liz. If you are on Twitter, give @whoababyliz a follow and make sure to join the conversation with him this week on @get2knownoke. 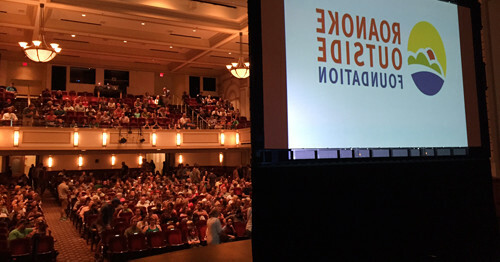 The Jefferson Center was packed for the Radical Reels Film Festival and Get Outside Expo on Sept. 16. The national film festival showcases some of the best mountain sports videos of the year and is only making two stops in Virginia. More than 700 people turned out to meet vendors, sample the fare from area food trucks, and catch the films. All of the proceeds from the event went to support the Roanoke Outside Foundation. Roanoke Outside is a charitable organization working to make your region the capital for world-class, outdoor fun, with things such as RoanokeOutside.com, Get Outside Weekend Update, Blue Ridge Marathon, and GO Fest. Tax-deductible contributions help us continue to push for a future where Roanoke is the greatest place for outdoor recreation. Some left as big winners. Plenty of prizes were raffled at intermission, including gift cards to restaurants, stores, and concert tickets. Thanks to everyone who came out and made the event a success and we can’t wait to see you again next year.